A baby is such a source of joy! 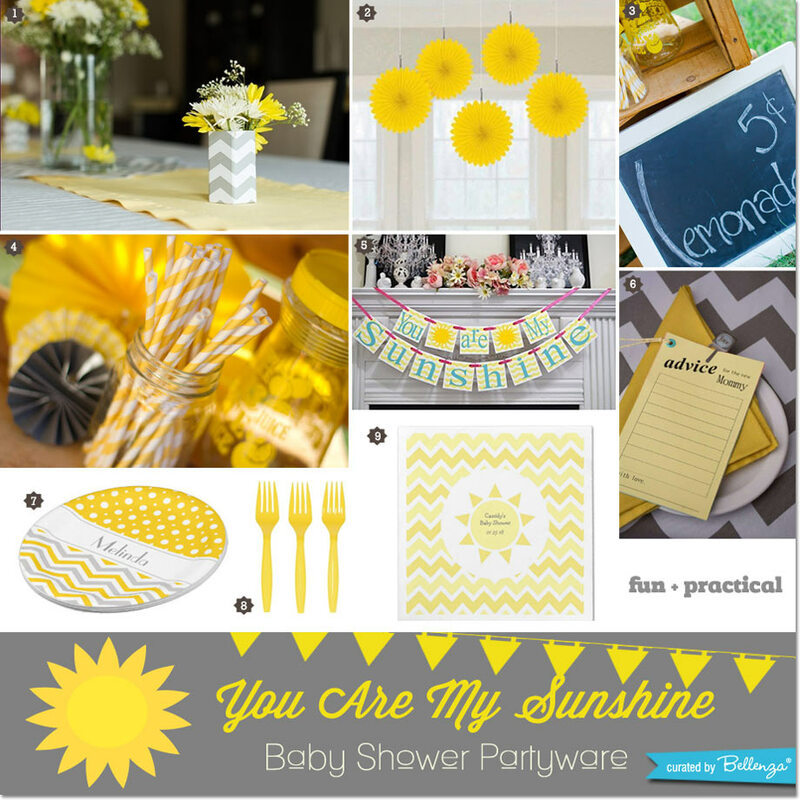 It’s no wonder, then, that a “You Are My Sunshine” theme is so hugely popular for baby showers. 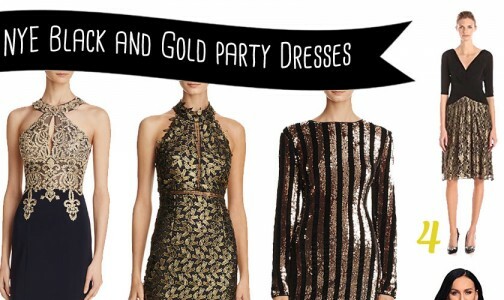 Happily, it’s also an easily DIYable motif that anyone can do! 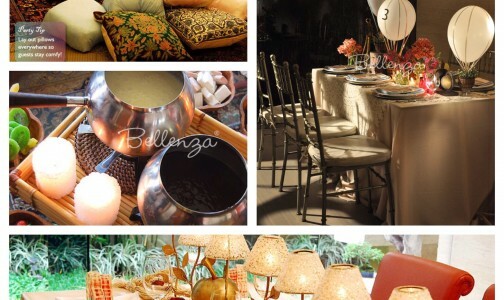 These delightful finds we are sharing here offer great ideas and inspiration to do just that. 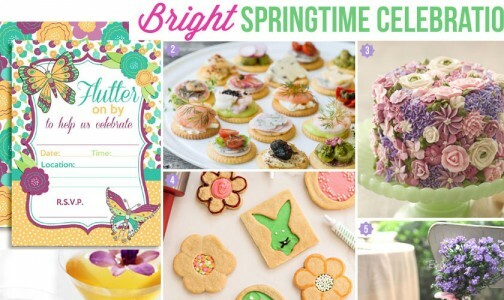 So, get ready to send out adorable invites; make your own bright, sunny yellow decorations; and prepare sun-inspired treats, sweets and drinks. 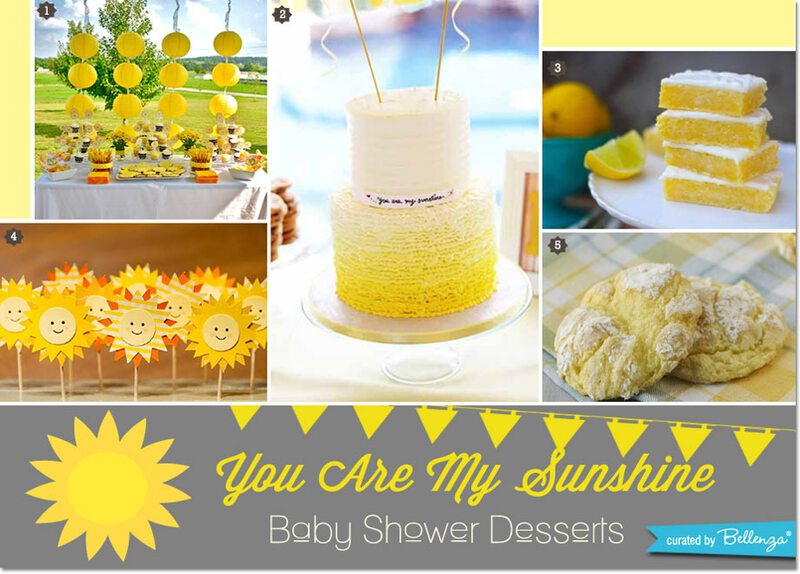 And host a heartwarming, hand-made “You Are My Sunshine” baby shower! 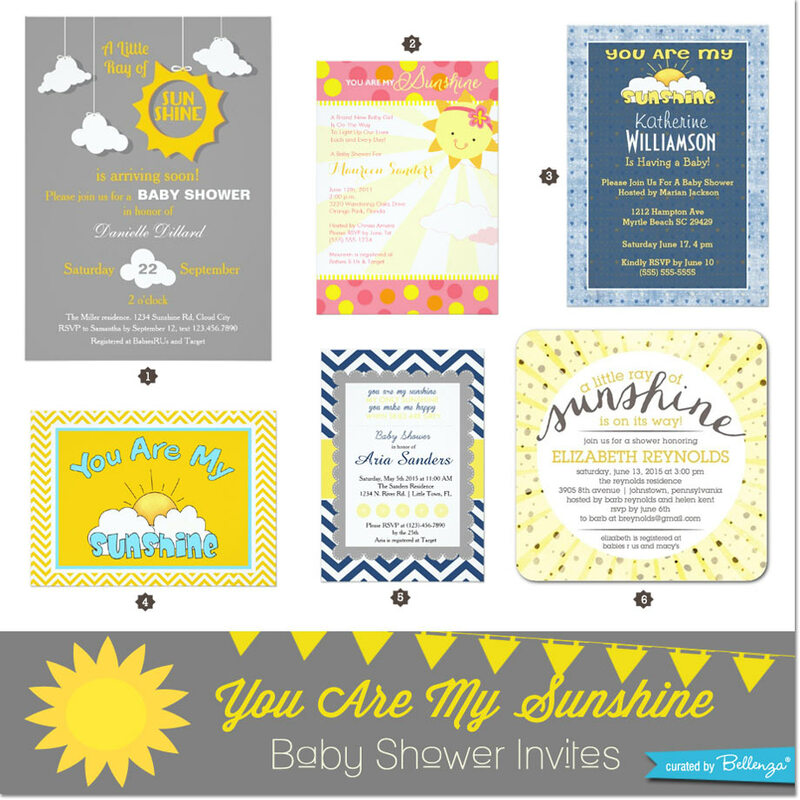 Forecast fair skies and a cheery gathering for the baby shower with adorable invitations like these. 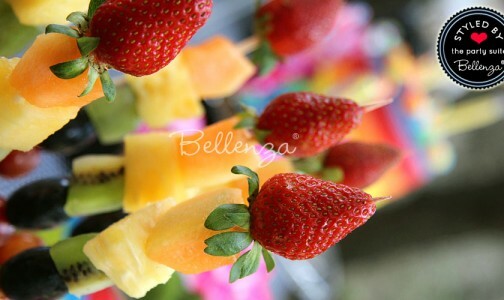 Guests will be all smiles just waiting for that special day! 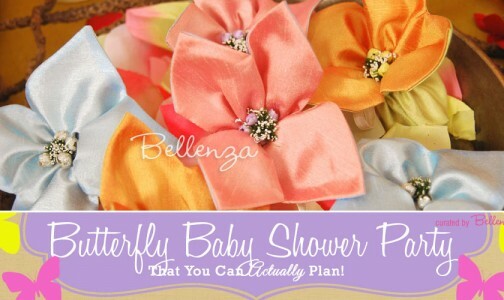 Craft your own baby shower decorations in the happiest hue, yellow! 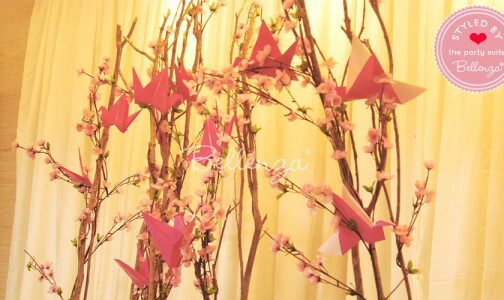 Use paper, board, fabric, and of course flowers. 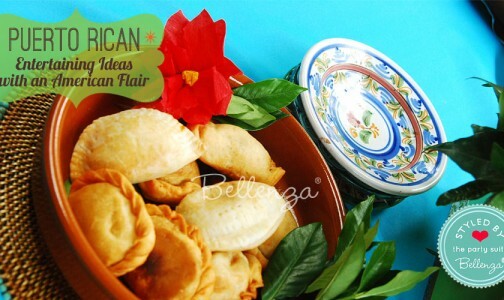 Then, mix and match them with a few party products readily available online. Tada! 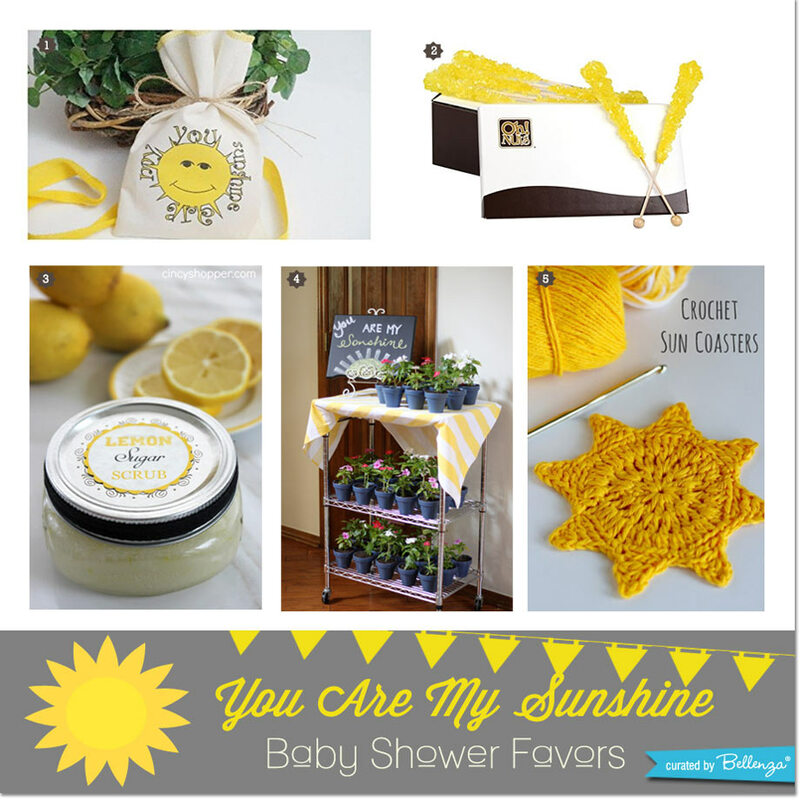 An instant sunshine-themed baby shower! 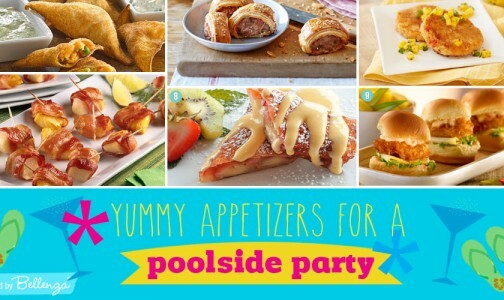 You’ve got to love these sunny party ideas and product picks we suggest. 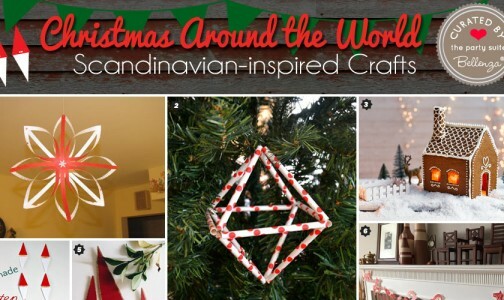 Do visit each link for how to make or how to order them! 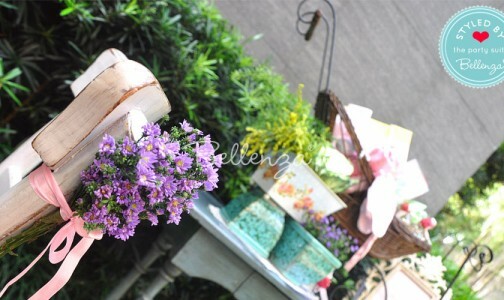 1 – Centerpiece of white and yellow daisies in a chevron-wrapped vase, found on Jessica Haley. 2 – Sunshine yellow mini hanging paper fans – Brighten up your party setting with these ready-to-hang decorations, available here (from Amazon). 3 – Chalkboard lemonade stand sign – A versatile party prop usable for many occasions, found via Schenk Sightings. 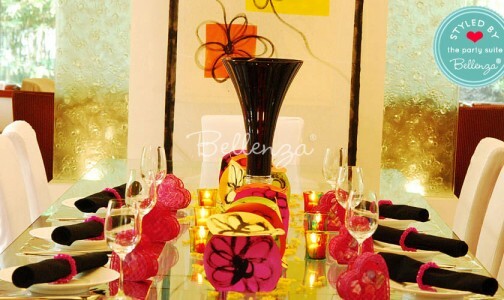 4 – Yellow striped straws – A cheery way to dress up your drinks in a snap (image from Schenk Sightings). 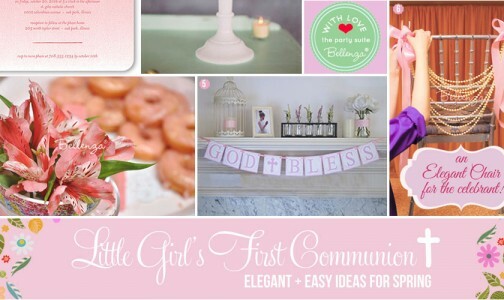 5 – Nursery banner – An instant party accent to dress up the baby shower venue, found online here (from Amazon). 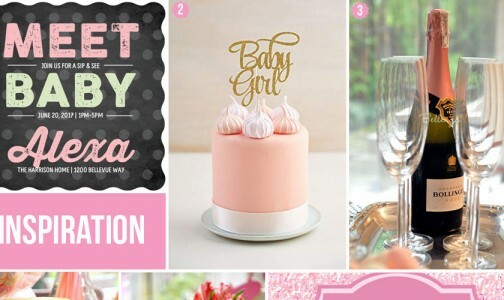 6 – Advice cards for Mom-to-Be – A fun alternative to a traditional guest book, and way more personal! 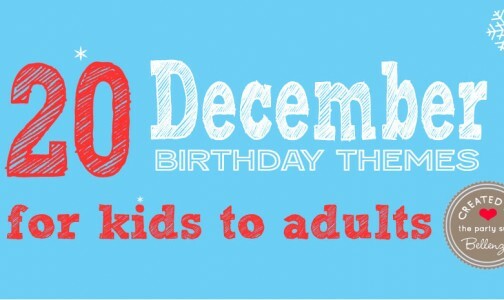 Spotted via Catch My Party. 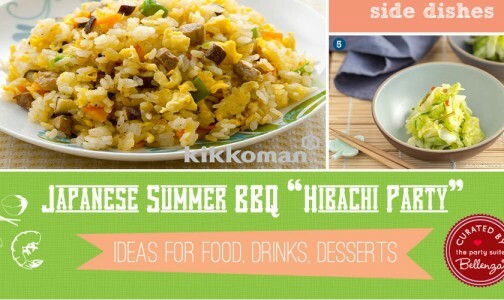 7 – Personalized paper plates – Customizable with Mom’s (or baby’s) name, plus a fun mix of patterns in yellow, gray and white. 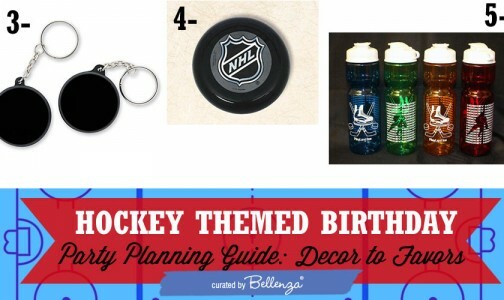 Available from Zazzle. 8 – Yellow party spoons – The sunniest supplies for your party food and desserts! Order these here (from Amazon). 9 – Sun-themed party napkins – Personalize the occasion with touches like these, printed with baby’s name and the shower date. Order from Zazzle. 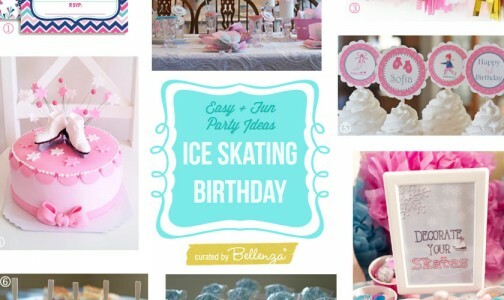 Of course, your baby shower menu should be just as merry! 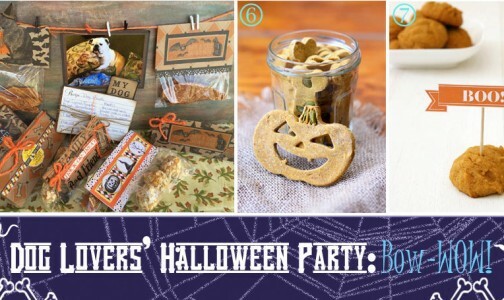 Choose savory treats, confections and drinks that you can make—either from scratch or by fancying-up something store-bought. 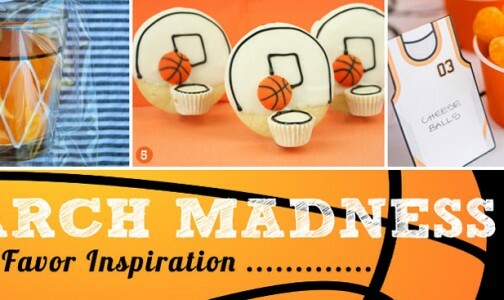 Just keep to the sun theme for a fabulous food display! 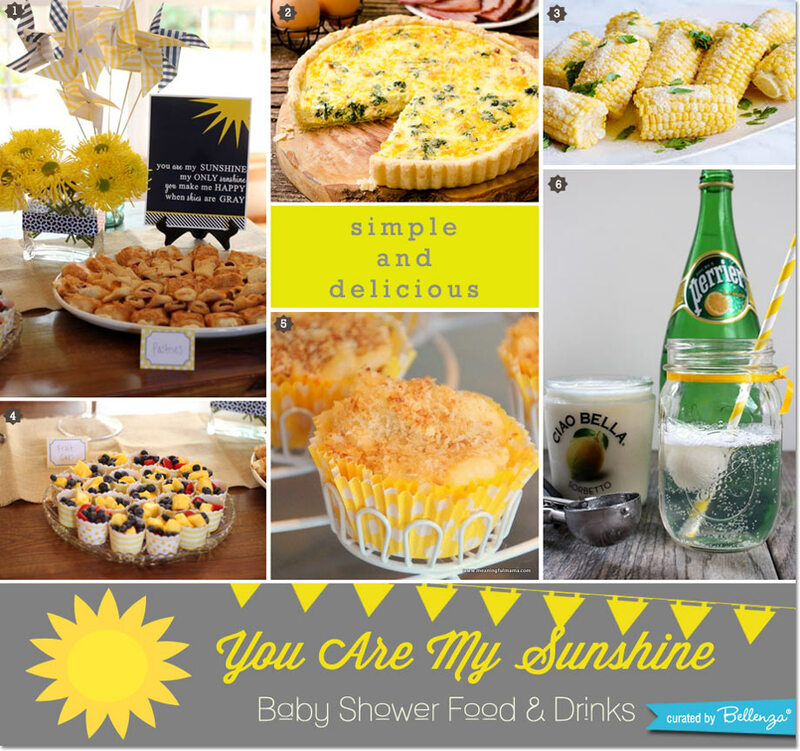 Set the mood for your food spread with a “You Are My Sunshine” buffet sign (1)—as if anyone could overlook it, with the array you’ll be serving up! 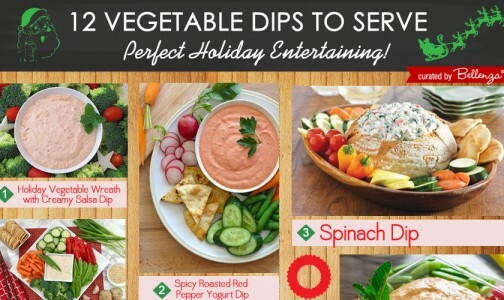 Combine savory bites like Ham, Cheese and Spinach Quiche (2) and corn-on-the-cob with parmesan cheese (3),“sunny sides” such as colorful fruit cups (4), and single servings of Mac & Cheese in cupcake liners (5) . And for a bubbly beverage, why not lemon sorbet served with Perrier lemon sparkling water (6)! 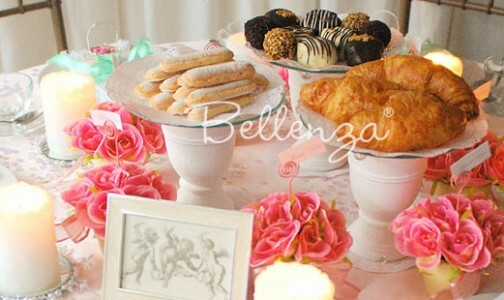 Guests won’t be able to resist even a simple selection of sweets when it’s all decked out in the cheeriest way! 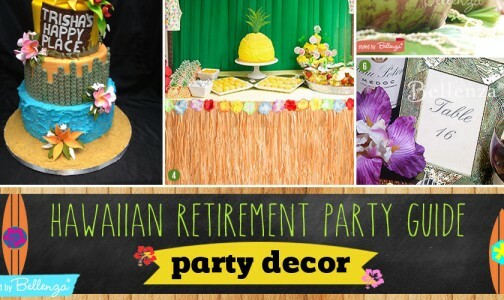 Give the dessert table a sun-kissed look with a DIY backdrop of paper lanterns (1) and all-yellow goodies like these. 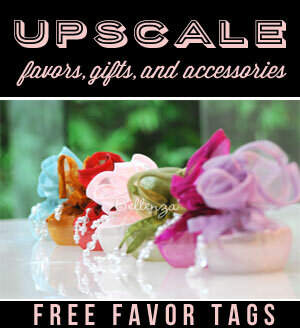 A darling ombre ruffle cake (2) to honor Mom-to-be, then a sugary display of lemon brownies (3), cupcakes trimmed with sunburst toppers (4), and scrumptious lemon cake cookies (5). 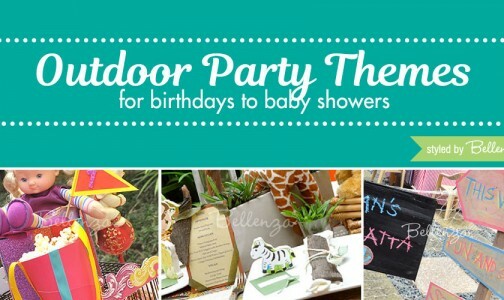 Send guests off with a little bit of sunshine from this happiest of baby showers! 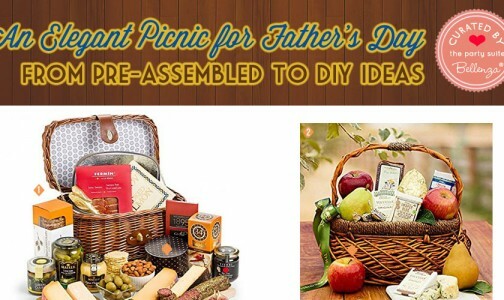 Take your pick from our favor finds below—some you can DIY, others you can buy. 3 – DIY lemon sugar scrub with free printable labels – See the how-to and download the printables from Cincy Shopper. 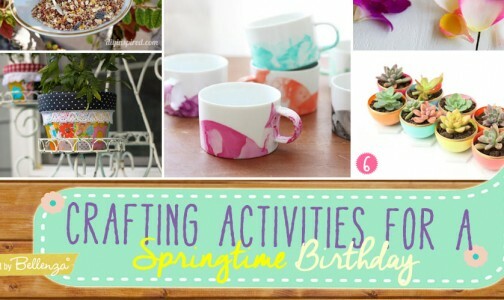 4 – Potted flowering plants – Love this idea found via In This Wonderful Life. 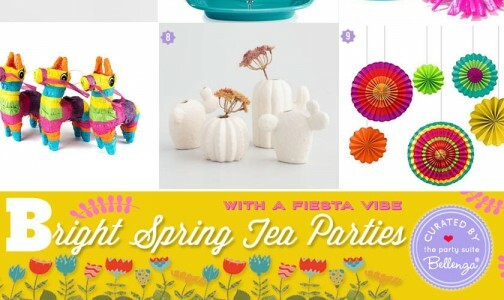 5 – Crochet sun coasters – Wow guests with this crafty gift, thanks to Make and Takes’ tutorial. Can’t wait to see how you bring this “You Are My Sunshine” theme to life. 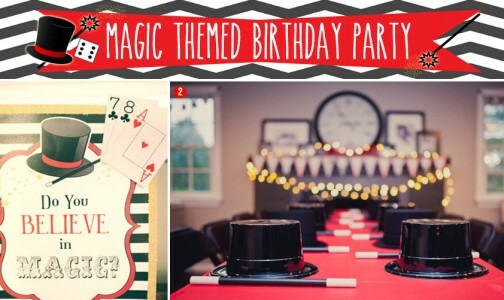 Share your party photos with us and we’d love to feature them!